In my quest to become more productive, I have discovered I need routines. Routines allow me to take care of certain tasks without much thought. The key to making sure the routines work is to make them as effective as possible. My evening routine works pretty well for me. When I follow it, I feel like I’m more prepared to face the next day. I have discovered recently, though, that my morning routine is not as effective as it could be. Even with my best intentions of not doing this, I’ve allowed social media to take control of my morning routine. Instead of spending the time I had originally set aside to reading the Bible and praying, I’m finding myself turning to social media first. I know that has got to change. I really don’t try to do a lot during my morning routine. In fact, my goal is to get up, get dressed, eat breakfast, and spend quiet time with God in the first 1 1/2 hours of my day. I want to include exercise in my morning routine, however I’m waiting for my kids to start back to school next week to do that. My goal is to be back on track with my morning routine by the end of August. Maybe you are struggling with being productive. 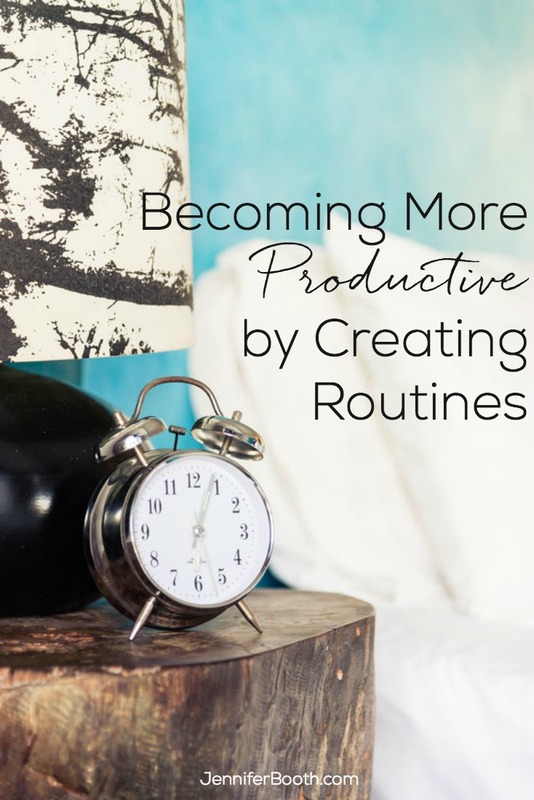 Having routines can help you achieve the level of productivity you are looking for. May I suggest a resource I’ve used to help me develop morning and evening routines? 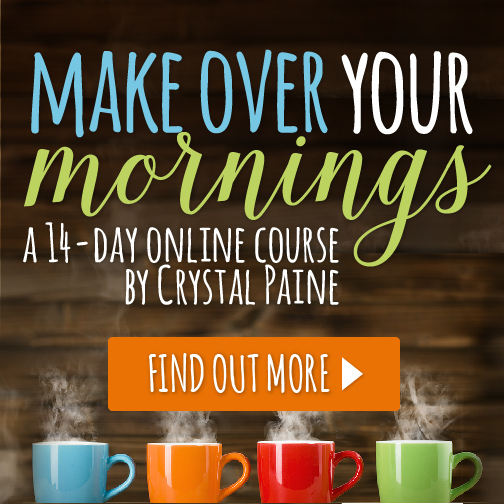 Make Over Your Mornings and Make Over Your Evenings are two e-courses by Crystal Paine of Money Saving Mom. 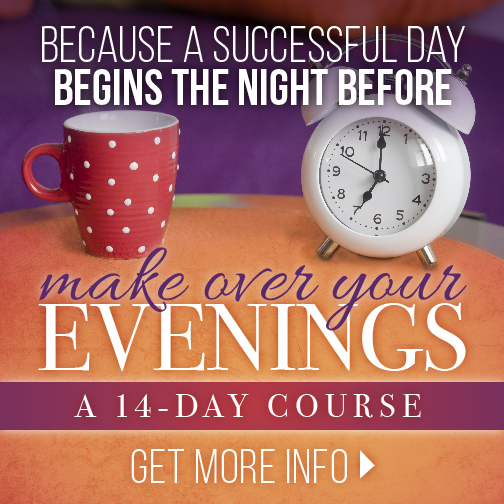 These courses have helped me in thinking through what I need to do to have effective morning and evening routines. Both courses include high quality videos that are short, usually only about 5 minutes or so. Also included in both courses is a workbook with printable worksheets to help you think through your morning and evening routines. These courses are a great value at $17 each. However, until August 15, they are $10 each. As an added bonus, if you buy one course for $10, you can get the other course for $7! That comes to a savings of 50% on both courses! Remember, you only have until August 15 to take advantage of this deal. I encourage you to give one or both of these courses a try and see how you can improve your productivity with effective morning and evening routines. Note: Some of the links in this post are affiliate links. If you click on them and place an order, I’ll receive a small commission — at no additional expense to you.